Koopasta - #23: You Need a What? Comic 23 - #23: You Need a What? Due to unforeseen circumstances we were on a brief hiatus. We're back now! Impatient for some spotlight, Luigi? Rather the opposite, I would think. I missed his last speech bubble it seems. HE HAD A CHANCE THOUGH. 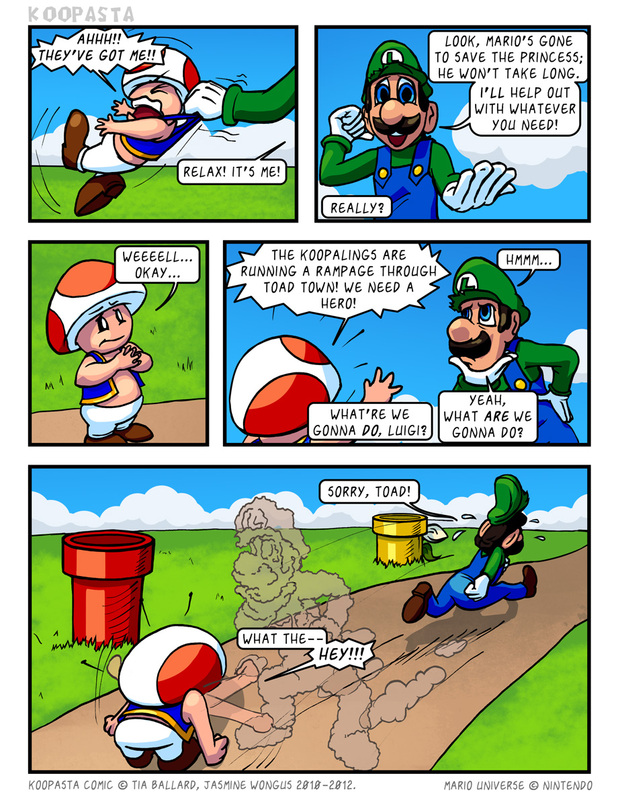 It seems Luigi is Seriously tough.